What goes in the Blue container? What goes in the Green container? What goes in the Black container. Well, Autonomous has got your back with the launch of OSCAR. Known for their ergo office furniture, Autonomous has launched OSCAR on Kickstarter. Autonomous points out that "At the moment, roughly 1 in every 4 items we put in our recycling bins isn’t actually recyclable, so it contaminates what can be recycled, so we send off the whole lot to the landfill." 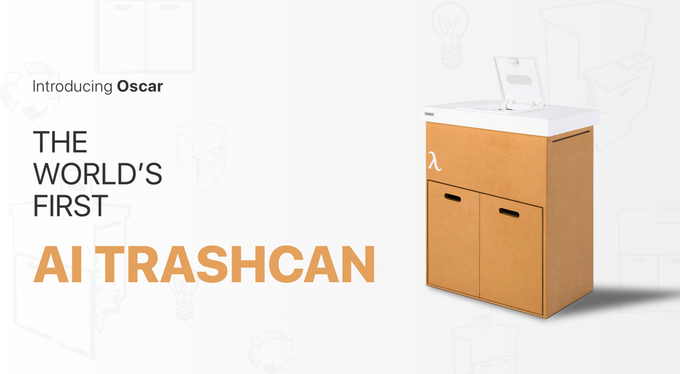 The Kickstarter site says "Powered by Artificial Intelligence, and using a custom-built neural network to identify each piece of trash, and sorts it into two compartments - Recyclable and Non-Recyclable." We rate this 5 stars on the Nerd Index. Check it out.